(FAROE ISLANDS)- Faroe Islands is an archipielago and autonomus country within the Kingdom of Denmark, located in between the Norwegian Sea and North Atlantic Ocean. The closest countries are Norway, Scotland and Iceland. 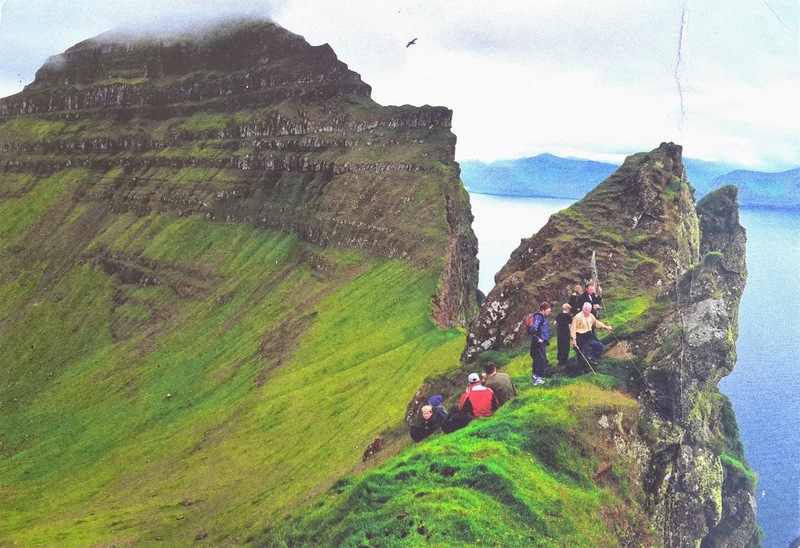 There are just about 50,000 people living there, who speaks their own language, the Faroese. 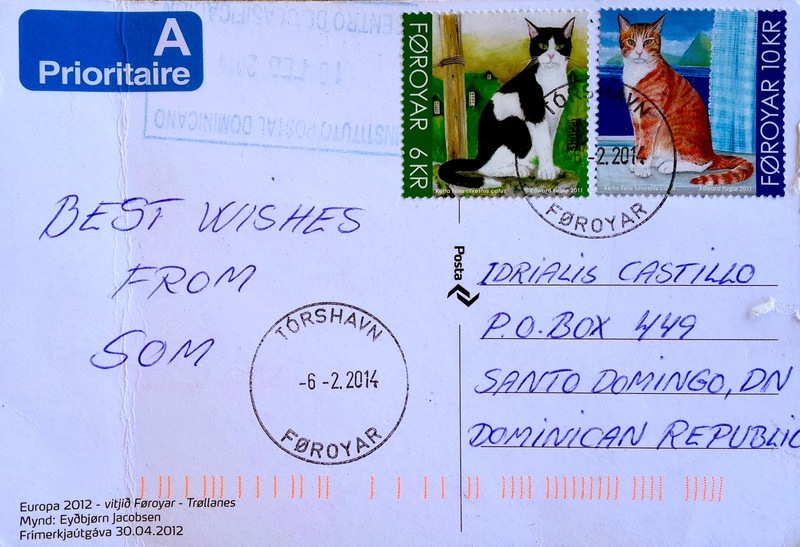 It is hard to find swappers/postcrossers from that far away country, but my friend Som, from India, who is a philatelic (stamps collector), he bought some stuff from Faroe Island Postal Service and also paid a postcard and asked them to send it to me and voilá. This postcard shows a rockhill within the shore. It is postmarked and has two beautiful and lovely stamps displaying silvester cats from Faroe Island... (Kitty lover here!). Thank you very much Som! (ISLAS FEROE)- Las Islas Feroe (o Faroe), es un archipiélago y país autónomo dentro del Reino de Dinamarca, localizado entre el Mar de Noruega y el norte del Océano Atlántico. Los países más cercanos son Noruega, Escocia e Islandia. Hay alrededor de 50 mil personas viviendo allí, quienes hablan su propio idioma, el Feroés. Es difícil encontrar personas que intercambien postales desde ese país tan lejano, pero mi amigo Som, quien es de la India además de ser un filatélico (coleccionista de estampillas), compró algo al servicio Postal de Islas Feore y de paso compró una postal y les pidió que me la enviaran, y aquí está. La postal muestra una cima rocosa en la orilla del mar. Tiene matasellos y dos hermosas y tiernas estampillas que muestran dos gatos silvestres de Islas Feroe (¡Amante de los gatos aquí!). ¡Muchas gracias Som! PS: Yo ahí con una yagua = ¡Felicidad!